After an amazing first day of camp, can Day 1 of the U12 Girls Ontario Summer Development Program (OSDP) really be beat? Well, it was—and not just because of the large, fluffy pancakes for breakfast. Thanks to the 120 campers, alongside their coaches and a dedicated group of Ontario Basketball staff and guest leaders, Day 2 on July 16 at Georgian College in Barrie was an absolute blast. Adding on to the stations from Day 1, OSDP coaches continued helping the athletes hone their dribbling, passing, shooting, and defensive skills. Keeping eyes up and maintaining contact with the defender were points of emphasis in Day 2’s development. With a focus on off-ball defense, athletes worked on their positioning, vision, anticipation, and decision-making when reading the defense. Every good athlete knows that there is more to being a well-rounded basketball player than just on-court talent. After talking goals and leadership during Day 1, the first classroom session of the day was delivered by Alida Iacobellis from the Canadian Sport Institute of Ontario regarding nutrition. Athletes learned about which foods to eat and how much to eat during training days and off-days to maintain healthy levels of energy. Later in the day, provincial team head coach Gord Everett walked through penetration principles, encouraging athletes not to shy away from the defense and to dribble with a purpose to attack the basket. With demonstration and practice, it is safe to say these girls are playing as sharp as ever and developing a strong basketball IQ. The second classroom session provided a much-needed discussion between players and referees. Tim Laurain, the provincial supervisor for officials, explained the numerous factors that go into an official’s decision. Athletes gained insight into how calls made by referees go beyond the rules of the game and differ in various situations. Prior to dinner, all 120 campers played a grand game of Queen’s Court Bump. It was a great opportunity to test sportsmanship amongst the athletes. There was nothing but cheers and claps as athletes from various regions made it to the final round of the Bump competition. Our two finalists for our game of Queen’s Court Bump at OSDP are absolutely balling out here. To end the day, athletes played a 3-on-3 tournament with referees and specific rules to give them the opportunity to put everything they learned in Day 2 to the test. The second day of camp proved to be a great success. Athletes furthered their love and appreciation for the game of basketball and for those involved in it. Stay tuned to find out what’s in store for Day 3 of OSDP. ICYMI, check out the Day 1 OSDP recap. Keep an eye on all the OSDP action by following Ontario Basketball on Instagram, Twitter, and Facebook. 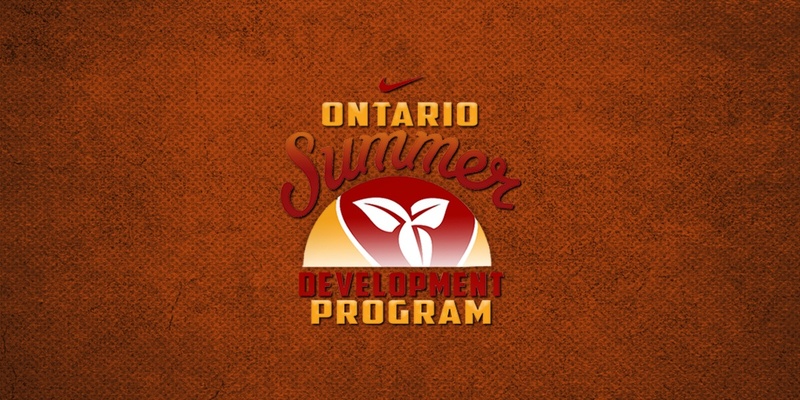 Ontario Summer Development Program (OSDP) is Ontario Basketball’s off-season basketball program that helps U12 and U14 athletes grow their personal, social, and athletic skills through programming that emphasizes teamwork, leadership, and learning. Through OSDP, athletes have the opportunity to work with new coaches and teammates, learn new skills, and attend overnight camp. Written on 2018-07-17, in News.